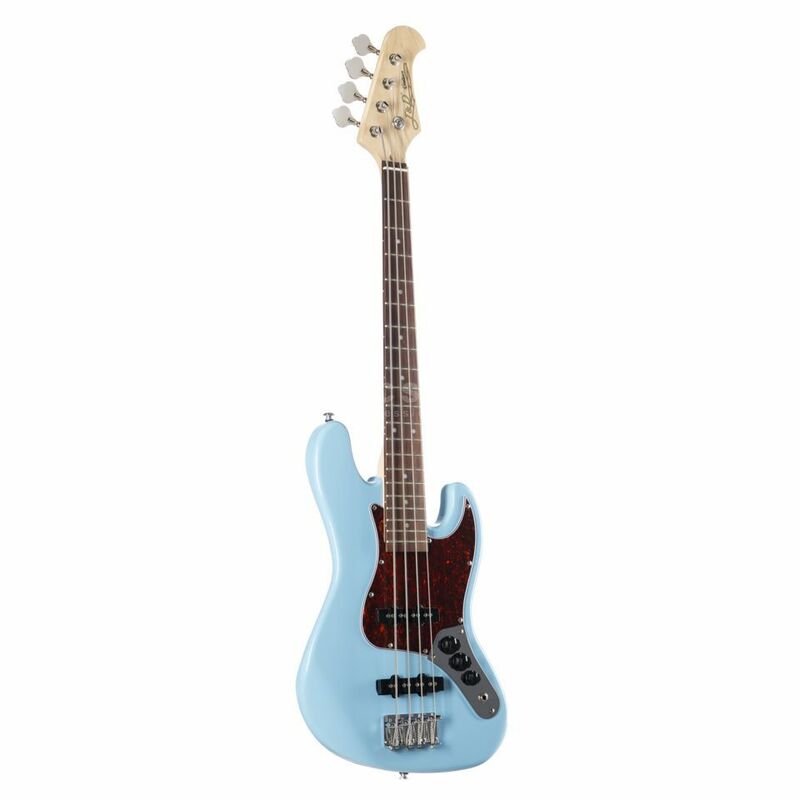 The J&D JB Mini 4-String Mini Bass Guitar in Sonic Blue takes inspiration from the popular Fender Jazz basses and comes in a more size friendly package. I was extremely surprised when this bass arrived for my son. He is 11 and I wanted a smaller instrument but the playability and quality are great for about €100. This is no toy bass. It is a proper instrument. I ordered sonic blue and the colour is defiantly a green but it looks fantastic, so no complaints needed.